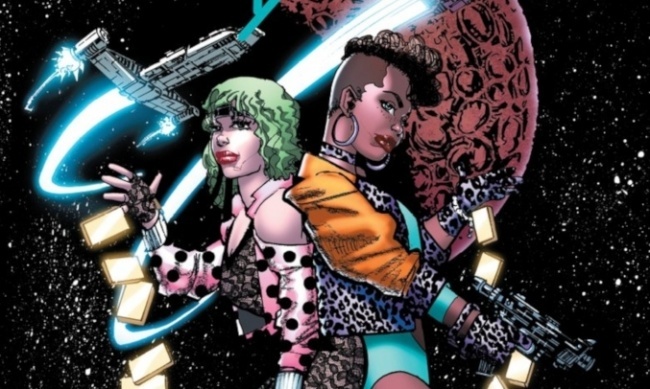 Netflix and Mark Millar will launch Space Bandits, a new comic series under Millar’s deal with Netflix (see "Mark Millar’s ‘Millarworld’ Acquired by Netflix"), on July 3, 2019. The new series will be published by Image Comics. Space Bandits is written by Mark Millar with art by Matteo Scalera (Black Science). Each issue will have a limited edition "Legends" cover variant, featuring art by artists Millar was a fan of in high school. The first issue’s "Legend" cover variant will have art by Howard Chaykin (American Flagg!, Black Kiss). The “Legends” covers will retail for 75 cents, the same price as a comic book when Millar was in high school. Regular covers will retail for $3.99. 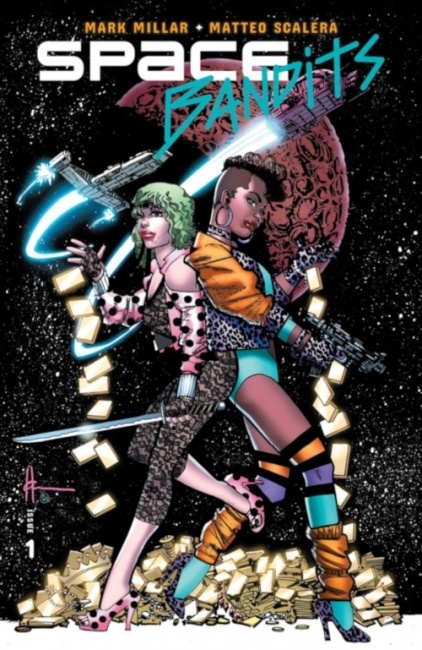 Space Bandits follows Thena Khole and Cody Blue, two of the most wanted felons in the universe. After running heists throughout the galaxies and being the leaders of their own criminal operations, they both are betrayed by their own crews. They only have one thing left on their mind: revenge. Space Bandits is the latest of Millar’s comic book series under Netflix, after Sharkey the Bounty Hunter launched this past February (see "Mark Millar’s ‘Sharkey the Bounter Hunter’ Stalks New Prey’").